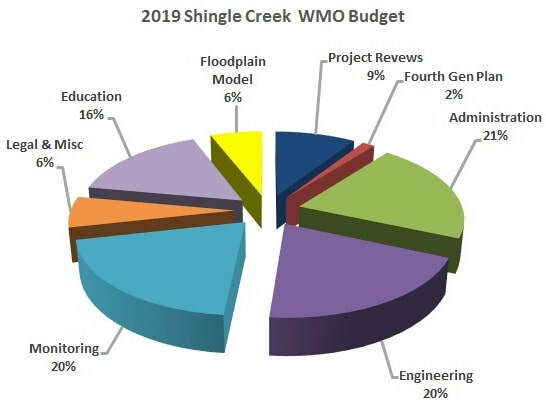 Each member city contributes toward the Commissions' annual operating budgets based 50% on the area located within the watershed boundaries and 50% on the tax capacity of all property within the watershed. All financial accounting is handled by the Commissions' Treasurer, an elected officer. Monthly Treasurer's Reports are prepared, and are reviewed and approved by the Commissions at their monthly meetings. The accounts are reviewed annually by an independent auditor. 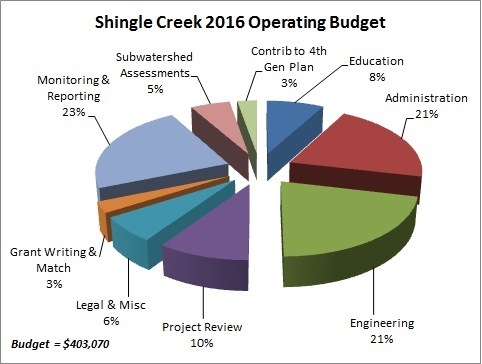 Click for a copy of the 2017 Audit Report. 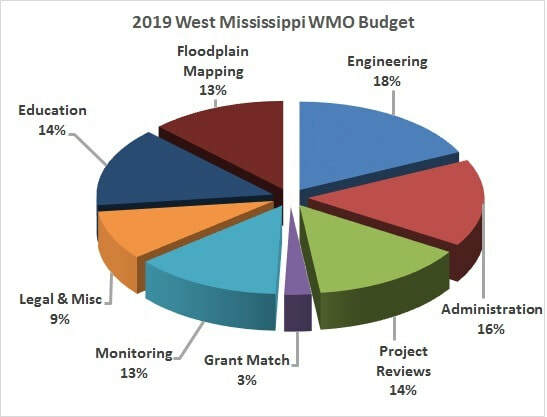 The Commissions annually review and amend as necessary a Capital Improvement Program (CIP) of water-related projects in the watersheds. The Commissions do not have the authority to undertake construction projects themselves; for each project a member city takes the lead in undertaking bidding and construction. The Commissions may share 25% in the cost of qualifying projects up to a maximum of $250,000. Under the authority provided by Minn Stat 103B.251 Section VIII, Subd. 5, the Commissions certify their share of the cost of an approved capital project for payment by the county tax levy.